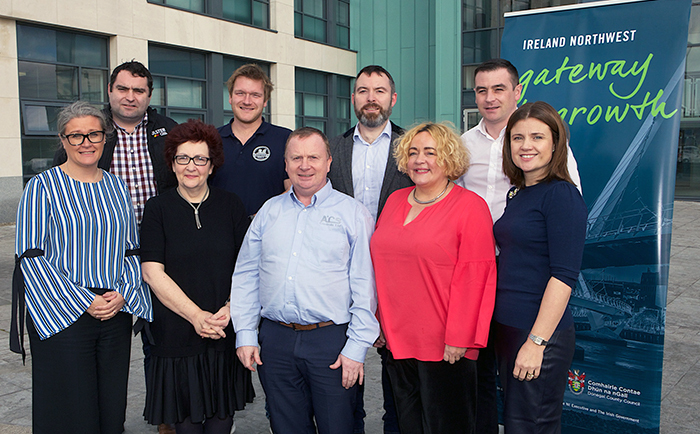 The Ireland Northwest Trade & Investment Missions are being led by the Mayors and Chief Executives of Donegal County Council and Derry City and Strabane District Council. With both Councils building relationships in the Boston Massachusetts area since 2008 as part of a wider investment strategy to promote Ireland Northwest as a compelling and attractive investor proposition, the local authorities have continued to build relationships in-market with key education, political and economic stakeholders. In 2017 a trade delegation of 13 companies participated in a Trade and Investment Mission to Boston. Following the success of that mission and of that in 2016, a third trade and investment mission is being organised to Boston. Along with this Philadelphia has also been identified a location which could present as a market to companies in the North West region and so this has been added to the Trade & Delegation schedule for 2018. The dual aims of both delegations are to assist indigenous companies to do business in export markets and to raise the profile of the NW region in the NE coast of USA market as an investment location. If your company has serious intentions to enter the US market, this opportunity could be for you. Get in touch or sign up to our Newsletter.